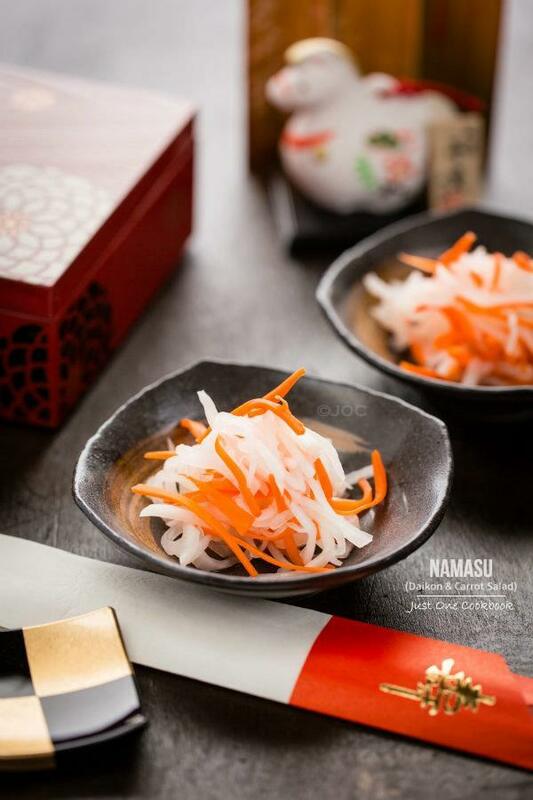 Harumaki is crispy Japanese spring roll wrapped with delicious filling of pork, chicken, shrimp, shiitake mushroom, carrots, and vermicelli. They make excellent finger food or appetizer. 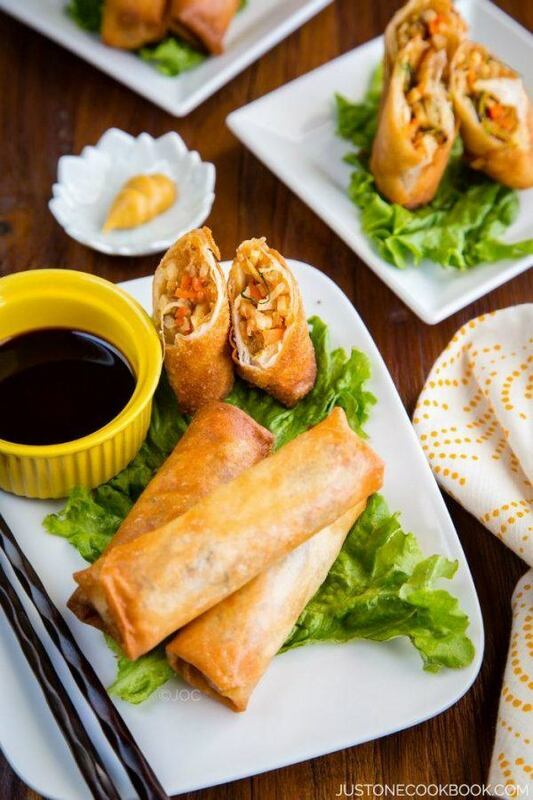 Spring rolls (or often called egg rolls and used interchangeably) is a dish found in East Asian and Southeast Asian cuisine. 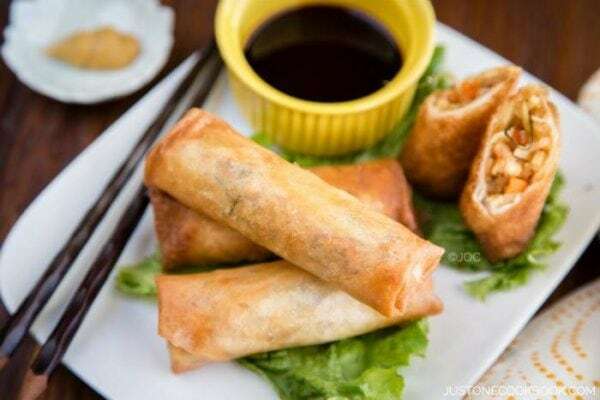 Savory filling wrapped in flour-based pastry sheet and deep fried till the outer shell is crispy and golden brown. We call this dish “Harumaki (春巻き)” in Japan, direct translation of “spring rolls” in Japanese. Harumaki were originally introduced to Japan by the Chinese and adapted for Japanese tastes. This recipe video will guide you through how to make crispy, golden brown Harumaki (Japanese spring rolls). 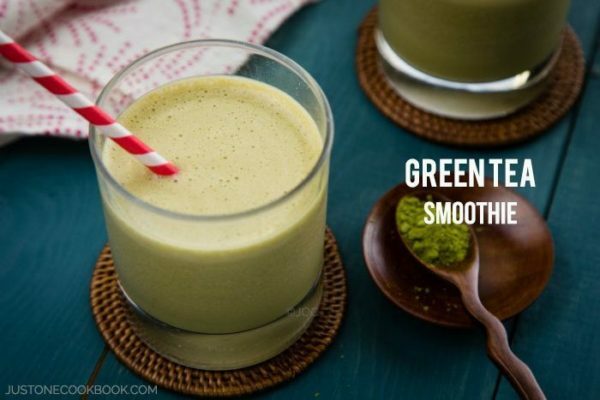 There are many steps and ingredients involved but it’s not hard. I hope you have fun making them. 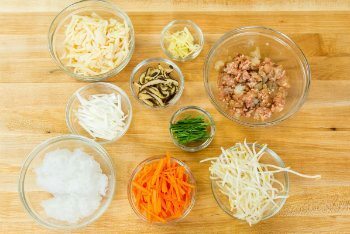 Typical ingredients for harumaki (Japanese spring rolls) include some type of meat (pork, shrimp, etc), carrot, shiitake mushrooms, bamboo shoot, etc. Each family makes them slightly different, and today I’ll show how I make my tasty harumaki. I learned my recipe from my mom using 10 ingredients for the filling. 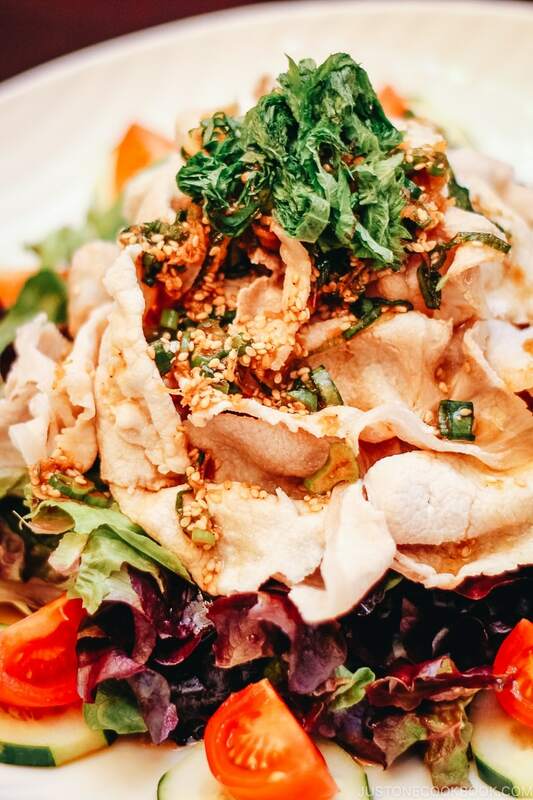 Her signature harumaki includes three types of protein – shrimp, ground pork, and chicken tender. However, ingredients for spring rolls are really up to your preference. You don’t have to include all 1o ingredients that I used. You can pick a couple of your favorites or experiment with fresh seasonal ingredients. The only difference between my mom’s and my harumaki is that my mom’s harumaki is wider, one and half times wider than mine. Growing up, I had trouble picking up harumaki with chopsticks to eat them so I made my harumaki size similar to typical Chinese spring rolls size. Depends on the filling, you may want to change the dipping sauce, but typical Japanese harumaki is served with the combination of soy sauce and rice vinegar and you can also add Japanese karashi mustard. 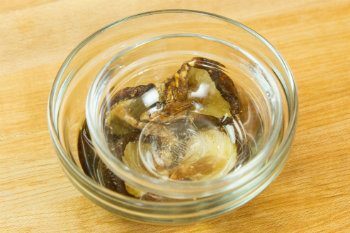 Soak dried mushrooms in ¼ cup water to re-hydrate, about 15 minutes. Cut shrimp and chicken tender into small pieces. Mix the ingredients for marinade in a medium bowl. Add the shrimp, chicken, and pork in the bowl and mix well. Set aside to marinade. Cook the vermicelli in a boiling water for 2-3 minutes. Drain well and cut into 1 inch length. Cut the bamboo, ginger, dried mushrooms, Tokyo negi, Chinese chives, and carrots into long strips (2 inch julienned pieces). Wash the bean sprout and drain well. To make harumaki filling, heat sesame oil and ginger over medium high heat in a large frying pan. Once fragrant, add the shrimp/chicken/pork and stir fry until no longer pink. Add bamboo shoot and carrot and stir fry until coated with oil and slightly tender. Add the bean sprout, Tokyo negi, Chinese chives, and dried mushrooms and stir fry, then add vermicelli. Add the ingredients for Seasonings and mix well. Combine potato/corn starch with water in a small bowl. After a quick stir, pour the potato starch mixture into the harumaki filling and mix well. Transfer the filling from the pan to a baking sheet or plate. Let it cool completely and evaporate the moisture. Make sure there is no moisture in the filling. 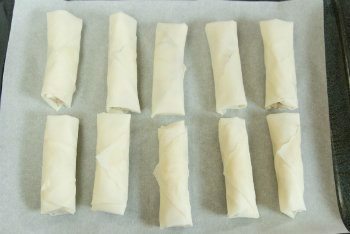 Otherwise, the wrappers will break easily before and during deep frying (and might explode in the oil). Slowly peel each harumaki wrapper one at a time and keep them plastic wrap or a damp kitchen towel to prevent from drying up while you work. 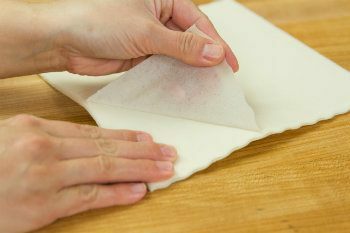 To make harumaki, lay the harumaki wrapper with a corner pointed towards you (diamond shape). Place the filling neatly just below the center of the wrapper. I use an ice cream scooper to transfer the filling so the amount of filling for each wrapper is somewhat standardized. Start folding the bottom corner over the filling towards the top and tuck under the filling nice and tight. Roll the wrapper once to cover the filling, and fold the right and left corners of the wrapper in. They should overlap each other a little bit. Then roll toward the remaining corner. When you start rolling upward, the wrapper may flair out. Make sure both sides of the wrapper to taper inwards. Using your finger, put good amount of flour + water paste on the top corner. Then roll and press firmly to seal. Continue with remaining wrappers. Once you finish wrapping, start deep frying immediately before the wrapper gets soggy. Deep fry the harumaki in a deep fryer/wok/pot with 170°C (338°F) vegetable oil until light golden brown and crisp, about 5 minutes. Drain the excess oil over a wire rack or paper towel. If you prefer to bake, preheat the oven to 200°C (400°F). 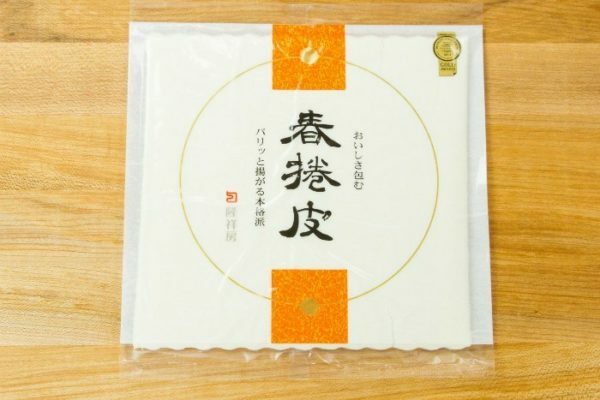 Arrange the harumaki in a single layer on a baking sheet lined with parchment paper. Brush the tops of the rolls with vegetable oil then bake them for 10 to 12 minutes, rotating after 6 minutes, until they're golden brown and crispy. 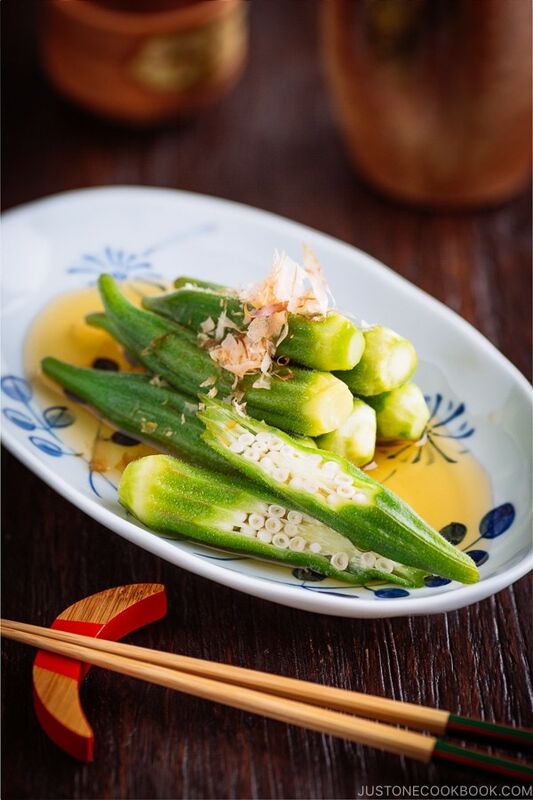 Make a dipping sauce with soy sauce, rice vinegar, and Japanese karashi mustard as you like and serve with harumaki. 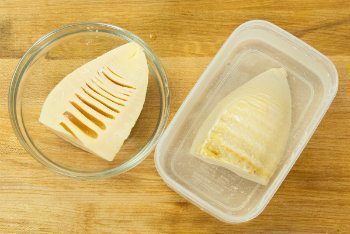 Keep half of the bamboo shoot submerged in water and store in the refrigerator for 2-3 days. These look absolutely perfect and crispy! I need to try these! Another very delicious looking Japanese dish that I’ve never seen, Nami. If I find the wrappers, I may try making them myself as I don’t think I’ve every seen them on offer at the Japanese sushi restaurants I’ve been to. I love egg (or spring) rolls and yours look so crispy and inviting. Nothing better in my book! Japanese dishes are among the most challenging to cook and prepare. Thank you for the step-by-step procedure with photos! 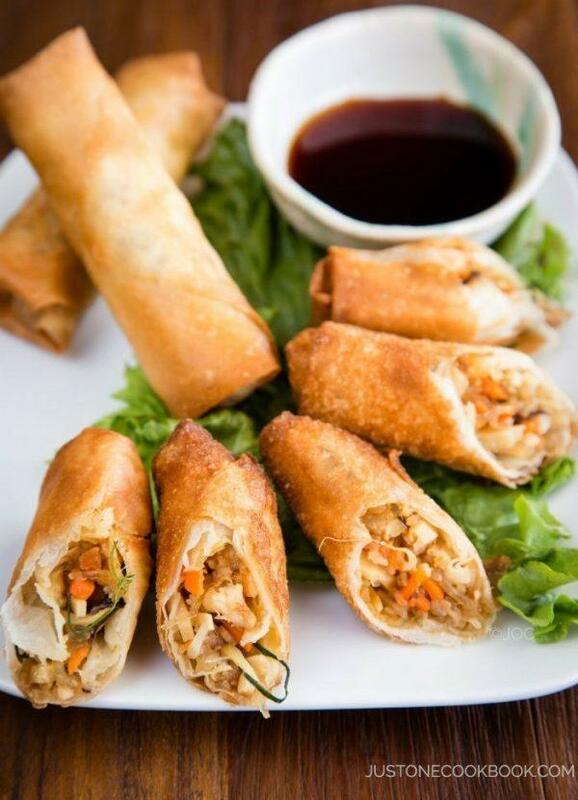 Your spring rolls look simply delicious! This looks amazing!! After seeing you work it, it doesn’t seem hard at all! 🙂 Truly delicious stuff! This looks really good. I’ll have to make an ingredient list next time I go to San Jose. The Harumaki wrappers are the same a regular spring roll wrappers that they use for Lumpia right? Also step 5 says “heat sesame and ginger oil over medium high heat” and I think you meant to say Sesame oil and ginger. Hi Kat! Thank you so much! Yes, Harumaki is usually thinner than typical Chinese wrappers I find in Asian stores. However, for Lumpia or Singapore brand (I think it was Singapore) wrappers are about same thickness. I’ve never met an egg (or spring!) roll I didn’t like. You did a wonderful job with these — they look heavenly. Thanks. Yum ! What kind of protein would you use to make it meatless (I’m thinking tofu that was chopped to make ground tofu) ? thanks. When I was little and when my mom fried up spring rolls, she would do some savory ones and then a few sweet ones (just the wrapper filled with red bean paste) to satisfy my sweet tooth. Thank you so much Kimmi! I’m totally going to make red bean harumaki!!! 😀 I make cheese and nutella sometimes but haven’t even thought of red bean. Shame on me… I love red bean so much! Thanks for sharing! Delicious rolls! That filling must be very tasty. The ten ingredients definitely make your springs rolls super delicious with exciting flavors and textures. Yum! these are definitely my weaknesses. My family adores egg rolls, as do I, but I detest frying them 🙂 These are so lovely, Nami, I love the filling and they look so crispy and flaky. These rolls look perfect and just the perfect amount of crispiness. 10 ingredients sounds like a lot but the balance of flavors is just right. But glad one can skip or improvise too lol. I’ll take 20 please! Thank you for reminding me I must repeat seasons in Japanese 😉 (I have just found another teacher… She is particularly motivating, so I hope I’ll speak a bit better for my next trip). Harumaki might be of Chinese origins but there is something sophisticated and pure and… Japanese about them in comparison to their Chinese ancestors (or is it just your beautiful artistic composition and photographic skills???). I must try them soon. Thank you for inspiration. Yummy! 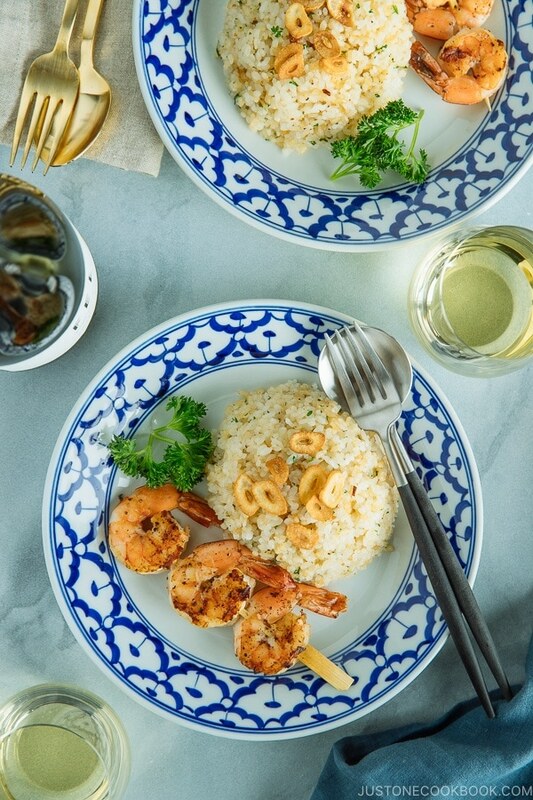 one of my favourite family get together dish that I love to prepare….your version is different from the chinese version but look just as nice! OMG, Nami you do such a beautiful job folding the spring rolls together! The filling looks stunning and I love in this recipes that it’s versatile and you can use different ingredients. But of course your mom’s classic 10 are still the best! I have already printed the recipe Nami! I will definitely try them! These are the first things I order in a Chinese restaurant! These look really delicious! I like that you made them thinner, I think I prefer the thinner rolls myself. And they look so crisp. These look wonderful, Nami! Wish I had you to make them for me every night ;). wow! I love egg roll!! never made at home like this before !! love the video!! What a great effort! I would love a couple of these on my table today. They are looking so irresistible. I love that they can be baked as well as more healthy version for kids . I didn’t know that spring rolls are called harumaki, now I know the Japanese term, cool :)! The last time I ate spring rolls was at a dim sum restaurant and yours look actually better than the ones I had! They look very very yummy :)! Harumaki, I tried them at a vegetarian place in Manila (random, right?) and they were covered in seaweed sheets, fried and were called fried seaweed harumaki. But I really like the flavors in them and they remind me of spring rolls. I must make the vegetarian versions…so tempted to have some right now…miam! Good idea to make them a bit smaller, like spring rolls! I have no doubt your mom’s harumaki taste amazing but I really think that something like this is best to eat with your fingers, so “spring-roll” size is perfect. They look amazing inside too… bursting with flavours and colour. Oh YUM!!! 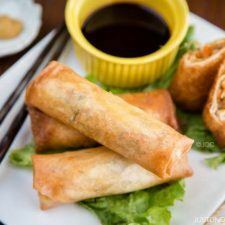 These are the perfect spring rolls Nami! So crispy and love the filling. All these wonderful snacks you’re dishing up are making me hungry again! Since when are spring rolls and egg rolls interchangeable terms? I’m not sure – In direct translation of Harumaki (春巻き) is “Spring (春) Roll (巻き)”, but I’ve seen the term “Egg Roll” is used here in the U.S. 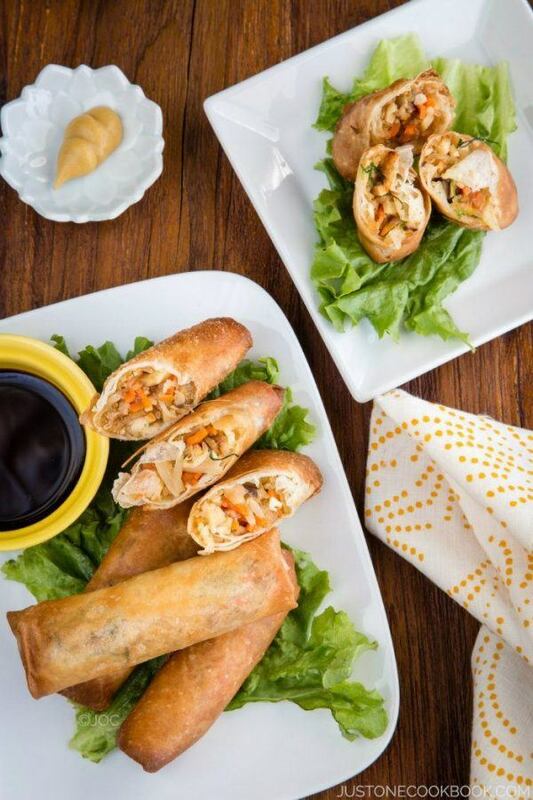 In fact, many calls “Spring Roll” for non-deep fried, and “Egg Roll” for deep fried. Thank you for a delicious recipe! It seemed like it would be tedious to prepare all the ingredients but it was actually pretty quick. I have celiac disease and used Vietnamese rice wrappers for these. Yumm. Thank you so very much for your recipes! My family is grateful. Hi Aimeé! I’m glad to hear you and your family enjoyed it. Glad to hear the rice wrapper made it work! Great alternative!